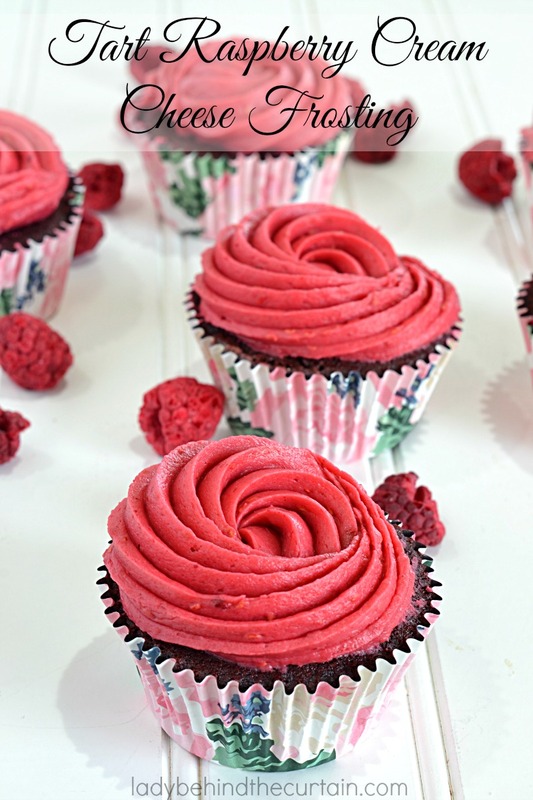 Tart Raspberry Cream Cheese Frosting | Not only is the flavor impressive but so is the color! Just look at that amazing color! 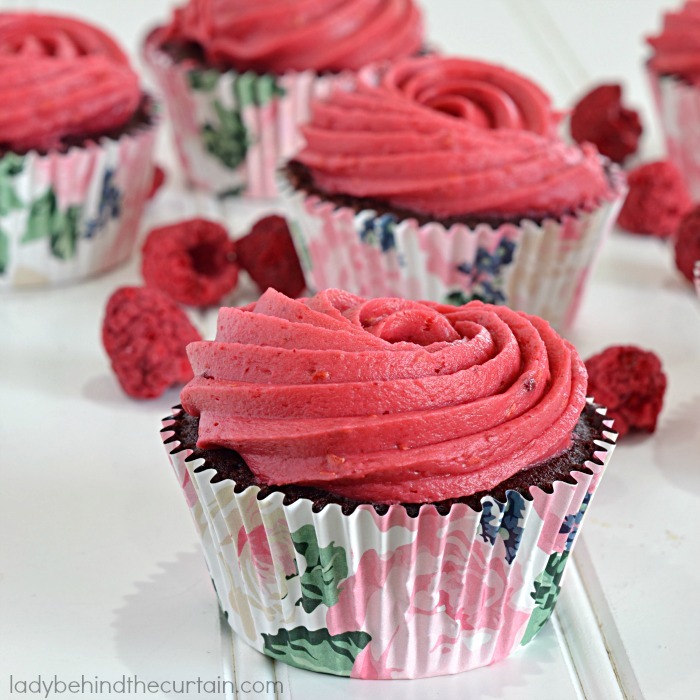 One bite of this delicious Tart Raspberry Cream Cheese Frosting and you immediately know it’s raspberry! 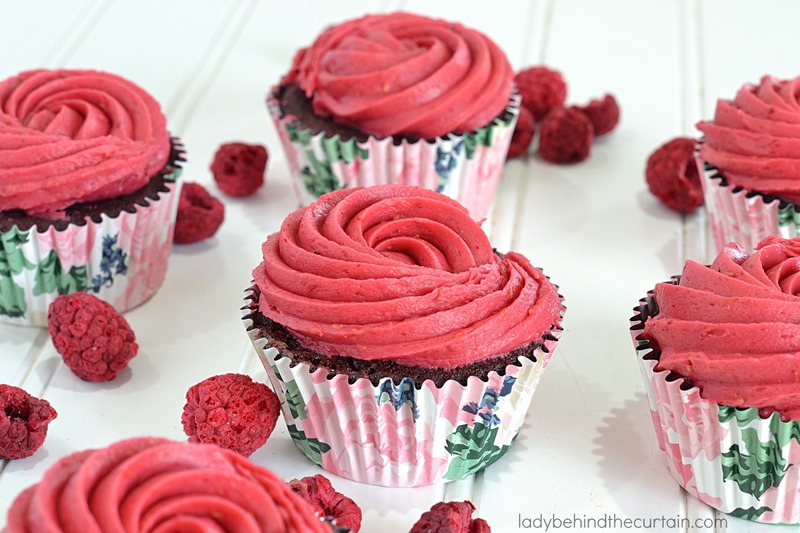 Nothing goes better with raspberry than chocolate! Add of swirl of this razzle-dazzle frosting to a chocolate cupcake! You may be wondering how I achieved such a delicious looking color or think I had to use a lot of food coloring. NOPE! No food coloring. I’ve discovered a new way to make my frosting, and that’s by using freeze dried fruit! Not to be confused with dried fruit. Here’s what I did…..Simply pour the freeze dried fruit in a blender and blend until the fruit is in powder form. This frosting reminds me of my husbands favorite frozen yogurt. While he doesn’t like anything with a sour flavor like lemon desserts he loves tart flavors and raspberry frozen yogurt was his favorite. One bite and his eyes lit up. In a large mixing bowl, add the butter and cream cheese. Mix until smooth. Add raspberry powder and vanilla. Mix until incorporated. Add confectioners' sugar 1 cup at a time, mixing between each addition. Once all the sugar is incorporated mix on medium high until frosting is light and fluffy (about 3 minutes). Frost cooled cupcakes. Store frosted cupcakes in the refrigerator until ready to serve. Pour raspberries into a blender. Blend until the berries become powder.